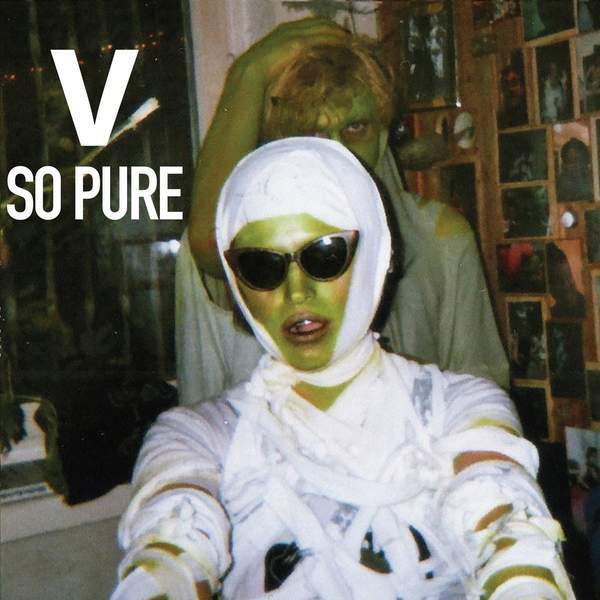 'So Pure' is the latest album from V, a Melbourne-based artist specialising in darkwave, D.I.Y punk, and industrial electronic music. V first took form over a decade ago in the now-lost Berlin squat of Tacheles. V drew deep from the arts and music culture around her, later moving through music scenes in England and Europe before returning to Australia to finish 'So Pure' in Coburg. The intense drum machine rhythms and sharp synth melodies often underscore a focus on grief. V looks at the way grief shifts over time and the ways that it shapes us. Over her reflective techno-infused tracks V also looks at the power and endurance of human connections. For the chance to win a copy of this week's Album Of The Week, Triple R subscribers can email us before Sun 21st April 2019 at albumoftheweek@rrr.org.au with their full name and subscriber number in the subject line. We have a prize policy of 1 CD per subscriber per month so we can share the love and make it fair for all!